Brooklyn Nine-Nine is bringing a NYPD Blue star to the series for its special Thanksgiving episode next month. 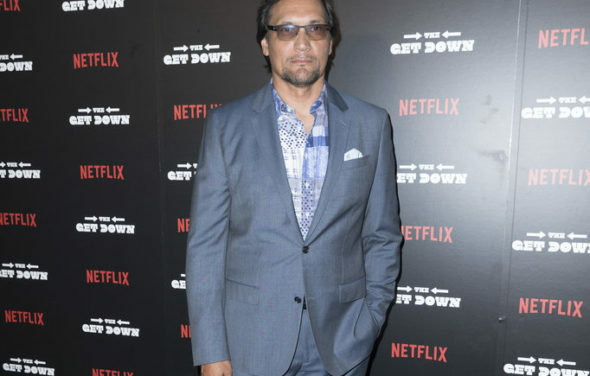 Jimmy Smits, star of LA Law and NYPD Blue, will play Amy’s dad. The character is played by Melissa Fumero. The episode will air on FOX on November 22. Are you a fan of Jimmy Smits? Are you excited to see him on Brooklyn Nine-Nine? Tell us what you think. I am a fan of Jimmy Smits. Not a super obsessed fan, mind you; I’ve not seen him in anything more than a few movies or episodes of TV shows. I think, just based on my watching of his work and the basic character synopsis, that he would be a good addition. Also, it makes me consider that it’s a little bit funny as he and Katey Sagal were an item on Sons of Anarchy. In Brooklyn Nine-Nine, she played Jake’s (Amy’s partner) mother. So it’s kind of funny to me… Might just be me, though.